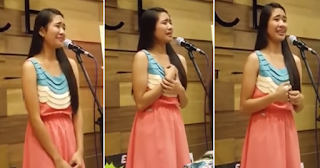 WATCH: Ampalaya Monologue of Rain Gutierrez Immediately Gone Viral on Social Media! Of all the situations and events of life that a person had experienced, they said the best thing to do is to spit it all out by your heavy words or killing speeches, but take it easy bro! You might end up like a those who are so called bitter ones. Moving on to any kind of situation is one of the painful things to experience. The process is quite difficult because the person involved was the one whom you took care of with all your heart. Some people are trying to move on by travelling, working their bodies out or maybe by stress eating, some are just reading books or writing to ease the pain inside of them, but there are people who simply join “hugot monologue events”. “Hugot Line” is the most popular thing online now. It is a way of sharing their thoughts through things that can relate to the real situation of a person. Rain Gutierrez is one of the internet sensations who compose and joins this kind of event. 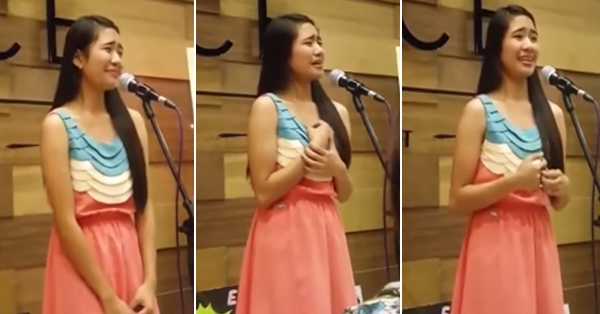 Watch and listen to her true to life “hugots” as she monologues it.